No greater obstacle to clarity about current progressive movements exists than the habit of detaching them from their ideological antecedents, specifically those in the Communist past. A common attitude regards Communist ideas as passé, and any attempt to link them to present company as politically dangerous. But this lazy thinking (to put the best face on it) makes any understanding of contemporary progressives impossible. When they are in their own company, progressives themselves are not shy about their debts to Marx and his disciples. When they are in position to determine academic curricula, they give the Marxist tradition pride of place. Their politics are directly and self-consciously inspired by the intellectual tradition—Marx, Hegel, Gramsci—that produced the totalitarian results. Many of today’s progressives, and certainly their teachers, were actively involved in supporting and defending the 20th Century’s totalitarian “experiments” and in opposing the anti-Communist cold warriors who helped to bring them to an end. Progressives have an understandable interest in separating themselves from the destructive consequences of their past behaviors. But conservatives should not contribute to their efforts by referring to them as “liberals,” or regarding their own differences as merely policy matters that can be compromised and adjusted, rather than as the result of a philosophical divide that leads to consequences both predictable and tragic. 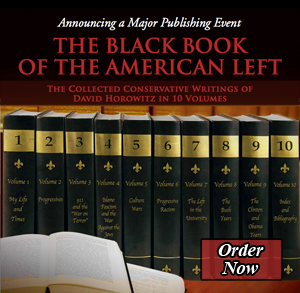 The essays in this volume begin with an introductory section, “The Mind of the Left,” which re-establishes the missing connections between current progressive movements and their Communist predecessors. Through profiles of some of its prominent intellectual figures, this introduction traces the continuities between the Communist left of the Stalin era, the New Left that followed, and the contemporary left that emerged following the fall of the Communist empire. These intellectual portraits are set in the context of the events of September 11, 2001, when Islamic jihadists launched a surprise attack on American soil, killing three thousand civilians. Progressives responded to this heinous assault by organizing protests directed not at the perpetrators but at their own country. The protesters opposed an American military response, and justified the enemy’s aggression by attributing it to “root causes” that could be traced to America’s imperial ambitions. Not all progressives joined the initial opposition, which was organized by a radical element. But a year later, as hundreds of thousands of activists poured into the streets to protest America’s war against Islamists in Iraq, the opposition spread through the entire progressive spectrum to include the leadership of the Democratic Party. If an inability to grasp the left’s historical antecedents is one obstacle to understanding its behavior, a close second is the failure to appreciate the connection between its utopian and nihilist agendas. The belief in a perfect future inevitably inspires a passionate (and otherwise inexplicable) hatred towards the imperfect present. The first agenda of social redeemers is to dismantle the existing social order, which means their intellectual and political energies are focused on the work of destruction. Several passages in “The Mind of the Left” explore this theme. Antagonism towards the existing social order inevitably leads to uncertain loyalties towards the body politic, and then to uncertain loyalties towards one’s country at war. This is a subject that makes everyone uncomfortable, but cannot be simply ignored because of that. Along with the opening section, several essays deal with the issue of patriotism, including “The Future of the Left,” “Spies Like Us,” “Spy Stories,” “The Lawyer Who Came in From the Cold,” and “The Left on Trial.” Another, “The Trouble with Treason,” recounts my differences on this subject with conservative author Ann Coulter in her book of that name. The essays in Parts II & III are arranged in chronological order and begin with the text of a presentation I made to an Accuracy in Academia conference in 1987, titled “Activists Then and Now.” It was written just after Peter Collier and I held our Second Thoughts Conference for former radicals. In this text I describe the continuities between the New Left and the then current left, stressing what I thought conservatives should understand about the protesters and probably did not. It is a theme that runs through the course of the present volume. This is followed by the text of a speech I gave at Dartmouth University, where I had been invited by conservative students to join a panel defending The Dartmouth Review, a student paper under attack for its conservative opinions by the Dartmouth administration. The panel included Peter Collier, Michael Medved, and one other conservative. My remarks were focused on the warm welcome the Dartmouth administration had given the communist Angela Davis who had recently spoken there. At the time the Dartmouth administration was conducting a virtual war against the conservative students who ran The Dartmouth Review for transgressing the boundaries of “political correctness,” i.e., the progressive party line. Despite its leftist sympathies and censorious attitude, the Dartmouth administration was universally referred to as “liberal.” This environment—supportive of totalitarian agitators like Davis and hostile to conservative students—was in my experience typical of most universities, and reflected the general tenor of the intellectual culture. Tom Hayden was a leader of the New Left and a violent revolutionary who advocated guerrilla war in America’s streets and organized a riot at the Democratic Party convention in 1968. Shortly after that riot destroyed the electoral chances of Hubert Humphrey, Hayden led a generation of radicals into the Democratic Party with the idea of transforming it into a party of the left. As a direct result of their success, Hayden was awarded the Medal of Freedom by Democratic president Jimmy Carter and became a Democratic assemblyman in the state of California. After being term-limited from the Assembly he ran unsuccessfully for mayor of Los Angeles, which was the occasion for an op-ed column I wrote, called “Tom Hayden, Los Angeles and Me,” which opposed his candidacy. In achieving this acceptance by mainstream Democrats, Hayden had not jettisoned his radical views, including his fundamental hostility to America and its social framework. It was thus the Democratic Party that had undergone a significant change, not him. When members of the progressive faith do break ranks and dissent from its myths, they are immediately shunned, and often summarily cast out. “The Secret Power of the Leftist Faith” explores this ritual in the case of Christopher Hitchens, although Christopher, a double agent of sorts, was ultimately able to retain his progressive bona fides. A related essay, “Ordeal by Slander,” illustrates how the left—in this case represented by the editor of Slate, a Washington Post publication—insulates its mythologies from damaging scrutiny by labeling its critics “McCarthyites” and witch-hunters. The result of these maneuvers and the fear they induce is a hermetically sealed intellectual environment that prevents progressives from considering alternative views.3 This phenomenon is explored in “Guilt of the Son,” which tells the story of one of the children of the Rosenberg spies who embarked on a quest to prove his parents’ innocence and wound up embracing their guilt. In 2012, the film director Oliver Stone produced a ten-part television series and 750-page text titled The Untold History of the United States. Co-authored by leftist professor Peter Kuznick, this so-called history regurgitated the Stalinist version of the Cold War’s origins and conduct, and then the views of America’s Marxist and Islamic enemies. It was shocking enough that a major network would fund and promote a propaganda project like this. But its absurd fabrications were embraced with only a handful of dissents by the progressive culture and its academic establishment. The essay “Oliver Stone’s Communist History” reviews the Stone-Kuznick phenomenon as a watershed moment in the devolution of American liberalism and the American left. The final section, “Identifying the Left,” reviews the ferocious reaction that occurred in February 2005 when I published an online encyclopedia of the left. The encyclopedia was called “Discover the Networks,” and provided a database of progressive individuals and organizations, ranging from radical to moderate. The three essays that conclude this volume were my responses to leftist critics who focused their attention on an index of individuals accompanied by thumbnail photos, which were featured in the database. This index was subsequently removed for reasons unrelated to the controversy, when leftists began filing copyright infringement complaints over the use of the photos. Since the index was an incomplete listing, designed merely as an advertisement for the contents, it seemed prudent to simply remove it. But the reaction itself was revealing, showing how sensitive the left is to having its agendas and networks described.